Houseboat INSIDER - Is it Time to Buy and Sell? Is it Time to for you to Buy and Sell? When spring or fall is here, depending on which half of the hemisphere you're in, there's no better time to clean house so to speak, and this is where our Grand Opening is perfect for you. More details below. 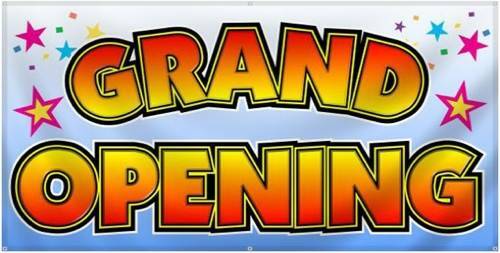 Grand Opening - FREE Houseboat Classifieds Ads. After plenty of hard word, we are proud to announce FREE Classified Ads for all our readers and subscribers. What better to way to make your money go further. You can now place free "Houseboat For Sale ads" or simply buy or sell any of your "Houseboat related items and accessories" for free. 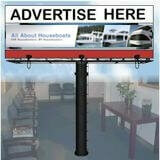 50% discount - Houseboat Business Advertising. We all know how advertising influences our society, and anyone in business today, wants to stay in business and maintain their sales. 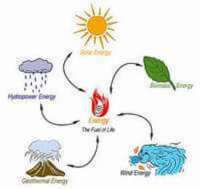 That's why we wanted to do our part and help stimulate the economy. Get your share of the business. We're offering a huge 50% discount for all new advertisers in the Houseboat Marketplace Classifieds. 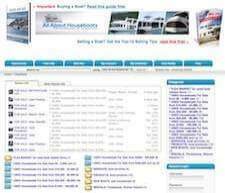 There's targeted industry sections for Services, Products, Rentals, and all the Houseboat Manufacturers. A new houseboat INSIDER magazine cover. 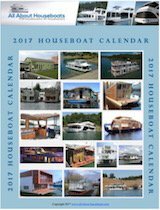 Auctions about the current Houseboats For Sale. You're looking for a deal on a houseboat? Than work your way over to the new houseboat for sale section, and have a look at wide selection of houseboats that are currently on auction and being bid on. Auctions on the current Top-10 Houseboat Accessories. Looking for some new toys? 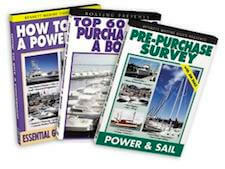 Like to save some money on tempting houseboat accessories, and wonder how to get some great deals. Have a look at the Top-10 list of current auctions on accessories. 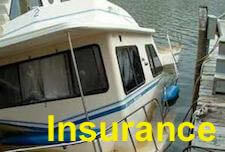 Added a new Houseboat Insurance section. Readers everywhere are sometimes having difficulty getting insured, or getting decent rates. We have assembled a list of tips and sources for getting your houseboat insured. A free Top-10 Selling Tips eBook. The ebook Top-10 Selling Tips, is another big project that I created the month. It is a free download available for all private sellers who post a Houseboat For Sale ad in our new classifieds section. So whether you're contemplating upgrading to a bigger boat, or simply want to downsize, this is a great opportunity for you. Sumerset House Boats - the #1 houseboat manufacturer in Somerset. Houseboat Propellers - how many blades, material, for the best prop? Looking at houseboat propellers, how many blades, or what material, makes for the best prop? I was curious if anyone has dealt with this situation. Houseboat Outboard Engine Brackets - build or buy a transom motor bracket? Pontoon Houseboat Building - any sources for tinted windows and doors? Fiberglass Houseboat Flybridges - do I custom build one, or buy a fly bridge? Capri Houseboats - has anybody heard of a Capri house boat? Leaky Houseboat Windows - how to fix or repair 1 leaking window out of 15. Houseboat Living - what laws, rules, or regulations affect house boats? Houseboat Insurance Company Sources and Tips from Houseboaters for Insuring House Boats, and How to Insure Properly. Vacation Houseboat Cottages - use house boats as waterfront property? Track a Houseboats History - with HIN, MIC, Registration, or Serial numbers? Houseboat Pets - animals like cats and dogs enjoy living aboard house boats? Houseboat Roof Construction - repair it with wood stud, or galvanized studs? Full-Time Houseboat Living - an early retirement, year round boaters dream.